Perforated Grill Pan | Patio and Hearth Co. If the food you’re grilling is unsuited to being placed directly on your grill grates, whether it’s too small or too delicate, your best bet is a grill pan. Adding a pan to your grilling arsenal brings even more variety to dishes you can make. 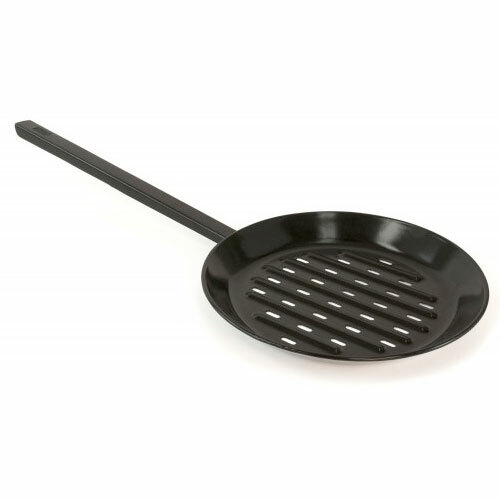 This porcelain-coated steel grill pan resists sticking, and the perforations allow for heat and smoke to reach your food while liquids drain out. A long handle keeps you away from the heat so that your cookout is an even more pleasant experience. Inquire about Perforated Grill Pan using the form below.